Ever since my parents gave me my first Batmobile, I’ve been hooked on collecting treasures based on my favorite fictional characters and universes. Star Trek ranks pretty highly on that list, and I’ve amassed quite an assortment of treasures from the twenty-third and twenty-fourth centuries. While the action figures and miniature starships are certainly favorites, there’s a special place in my heart for the items that really seem as if they could exist in that far-flung future. 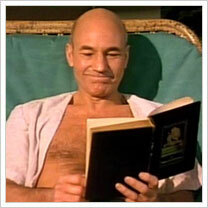 Aside from the obvious phasers and communicators, my favorite future artifacts are books. The publishing method might differ (you’d expect PADDs or computer memory in the 2300’s), but the text would be the same. I’ll start with one of the few books on this list that I don’t actually have. Although this pocket-sized paperback doesn’t list all 285 rules (since they haven’t all been officially stated), it’s still a fun companion and an interesting read to flip through. 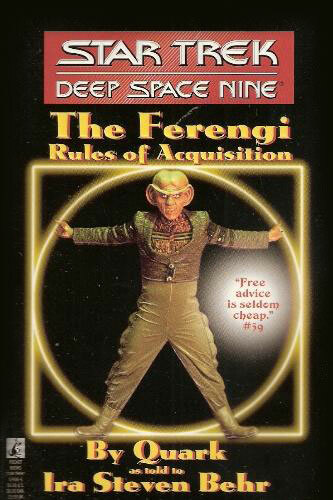 After all, you haven’t experienced it unless you’ve experienced it in the original Klingon. 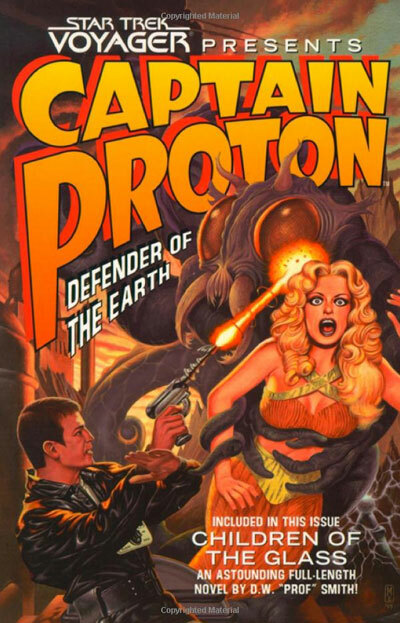 There are a number great books that fit this category, but each feels like something Montgomery Scott or Geordi LaForge would want at their fingertips; the former even assisted in the writing of one of them. For those interested in engineering and the study of starship design, we have: Mr. Scott’s Guide to The Enterprise; Star Trek: The Next Generation Technical Manual; Star Trek: Deep Space Nine Technical Manual; and the U.S.S. Enterprise Haynes Manual. All are fascinating reads and are chock-full of illustrations, diagrams, schematics, and explanations of everything from warp cores to bridge seating. 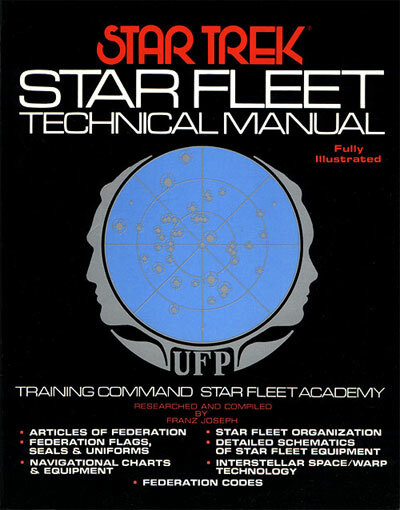 Somehow more comprehensive AND more focused is Franz Joseph’s Star Fleet Technical Manual. This classic read zeroes in on the original series and lays out the inner workings of that time period in great detail. It includes logos and insignia, hand phaser cross-sections, uniform sewing patterns, and the layout for Fleet Headquarters. This is only a sampling of the many Trek books that fit the criteria of Actual Future Literature. There are many more to find and enjoy (I’m personally curious to read the Starfleet Survival Guide).